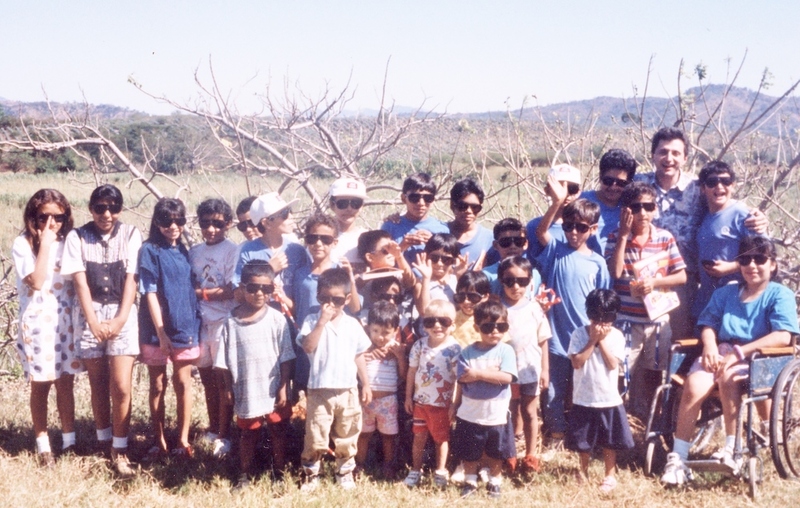 The Cycle of abuse and abandonment that goes from generation to generation was broken in the life of every one of of these 28 beautiful children that the Lord gave us back in 1989 and 1990. Bobby McDonell and his Salvadorian wife Maricela were married in 1978. Bobby’s Mom was a Court Clerk and his Dad was Chief of the Kenmore Fire Department. He grew up in Western New York in the Buffalo Niagara Falls area up with his two sisters Patty and Susie and attended St Andrew’s for eight years and Cardinal O’Hara HS for four years until he graduated in 1973. He then majored in Math at Jamestown Community College and SUNY Buffalo. Maricela was born in El Salvador the youngest of seven siblings. Her Dad was a Civil Engineer for the Salvadorian Government and her Mom a Bookkeeper for forty years. After graduating from HS, Maricela began working as a secretary in El Salvador and eventually was accepted into an exchange student program to attend Durham Business College in Phoenix, Arizona where she graduated in their bi-lingual secretarial program. Bobby was working at Durham Business College when Maricela arrived to study in 1977. They fell in love and were married a year later in 1978. It was during Bobby’s first trip to El Salvador in 1982 to meet Maricela’s family that he clearly heard God calling him to help the children of El Salvador. Seeing the street children during the war begging for newspapers in order to cover up and sleep on the streets impacted him in such a way that Mi Casa was started seven years later in 1989. As Bobby tells it “I was always waiting for my calling in life. I always knew that God would call me to serve Him one day but I never imagined in a million years it would be to serve Him by caring for and raising orphaned and abandoned kids! The day that God called me EVERYTHING CHANGED! It was like God did a heart transplant on me and gave me a little piece of His heart for children. At the same time He downloaded the purpose for my life. I have never looked at a child again the same. When I see a child I see Jesus and exactly what He saw when he said “Let the little children come to me and do not hinder them, for the kingdom of heaven belongs to such as these…truly I say to you, unless you are converted and become as little children, you will never enter the kingdom of heaven”. The first of their three sons’ Robert Paul was born in 1980, Sean followed in 1985 and Steven finished the birth of their biological children in 1989. Most of Bobby's immediate family moved out of Buffalo to the Charlotte NC area. Above is Mom & Dad McDonell with Bobby, Susie, Patty and many of their spouses, siblings and grandchildren Marissa and Finn. They are very close to our hearts, we love them dearly, and we feel such joy to have them and are so blessed to be their parents. Bobby and Maricela’s three biological children all consider the children at Mi Casa as their brothers and sisters. There were thirty “siblings” at Robert Paul and Nolvia’s wedding in 2012 in El Salvador. Robert Paul started Cornerstone Investment Group in early 2014 and has committed to helping Mi Casa by donating half of all their commissions on investors who come in through Mi Casa. Click here for details. Robert and his wife Nolvia have donated their resources countless times and just as equally important are the hundreds of times they have the kids at Mi Casa over to their home for movies or just come over to play and spend time with their brothers and sisters at Mi Casa. Steven McDonell works for his older brother at Cornerstone and is a financial analyst. Steven supports Mi Casa and is at every birthday party, hike, outing or any time we need help at Mi Casa. The kids love him and he loves them back as their brother. This means so much to the children. Bobby & Maricela continue to live in-between Oregon and El Salvador running Mi Casa, breaking the cycle, raising El Salvador's future leaders.